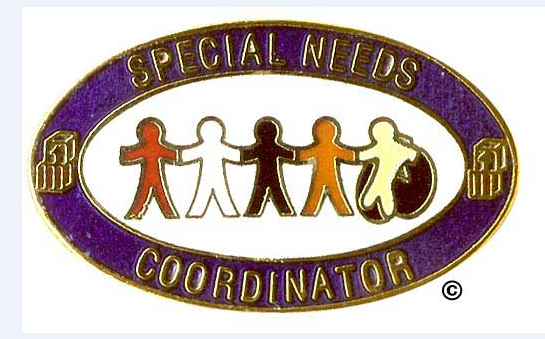 SENCO is a qualified teacher who is trained in supporting children with additional needs. The SENCO is responsible for the day to day operation of the Special Needs Policy and the co-ordination of provision for children with additional needs. In addition, the SENCO works closely parents, carers, teacher and other professionals. An ELSA is a specialist teaching assistant, who is trained to support children in the development of emotional literacy. Emotional literacy is helping children to understand and cope with their feelings, as well as developing high self-esteem and positive interaction with others. Children who are emotionally literate are able to focus better on their learning. An ELSA may work on different areas of emotional literacy including recognising emotions, self-esteem, social skills, friendship skills, anger management and loss and bereavement. When working with children the ELSA will allocate a regular slot during the school week of 20-30 minutes. The sessions can be individual or in small groups and are tailored to the child’s individual needs. The ELSA makes sure that the sessions are fun and include activities such as role-play, puppets, board games, art and crafts and stories. They also allow the children time to talk. The ELSA reviews a child’s progress on a half termly basis. The ELSA works closes with parents and class teacher to support the child. This enables the ELSA understand the child’s emotional needs. Follow the link below to see our SEN Information Report.